Are HOA Contracts Enforceable? - Advanced Management Inc. Residents and Board members alike often wonder whether HOA contracts are legally enforceable. The short answer is that, yes, in many instances they are. The laws and regulations set forth in the HOA contract can usually be enforced in a court of law, but there are some limitations. This is where an experienced contract lawyer like Nick Hansen can come in handy. He has helped us answer some questions in today’s guest blog post. When a community member joins a homeowner’s association, they usually do so to enjoy benefits such as higher property values, increased safety and access to community services and amenities. Unfortunately, some homeowners choose not to abide by the rules set forth in the contract. When this happens, the association has the legal right to enforce the rules. How often snow needs to be shoveled, grass needs to be mowed, etc. Essentially, a HOA can control any aspect that they deem worthy of controlling. The HOA contract also outlines any fees that are required. It’s crucial that homeowners are fully aware of and understand all policies prior to agreeing to a HOA contract. HOA Boards have a few options when it comes to enforcing contracts. The process typically begins with a verbal or written warning. If this does not lead to the desired result, the next step is usually a citation or monetary fine. 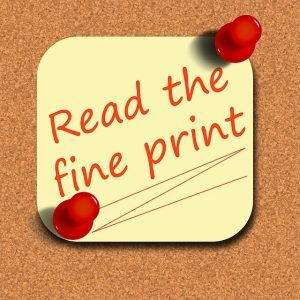 Unpaid fines lead to penalty charges, and after a designated time period, the HOA can apply fines and penalties to the home’s mortgage. In the majority of situations, homeowners respond to warnings or initial fines, but when they don’t, Boards are advised to enlist the assistance of an attorney. Unless the homeowner is engaged in illegal activity, the police generally are not called for these matters. Instead, an attorney is hired to draft legal documents and help the Board proceed with contract enforcement. Reaching a favorable solution when defending the legal rights of a homeowner’s association can be a challenge without the help of an experienced contract lawyer. When Boards try to enforce contracts on their own, it often leads to animosity within the community. An attorney not only defends your legal rights but also acts as a neutral third party in the situation. As the lead attorney for Hansen Law Firm, I have handled hundreds of cases involving breach of contract, and I am experienced in the unique challenges faced by homeowner’s associations. To learn more about how my law firm can help your HOA, contact me today. Today’s answers and info come from Nick Hansen, an experienced contract lawyer in Denver. If you have more questions, contact him at 303-785-7777 or contact us for more info.